Obtaining a US Visa depends on many factors and situations. If you want to take your Thai fiancee back to the United States you would be looking at a K-1 Visa or if it is your wife then a K-3 visa. When you marry a Thai national as an American citizen you can also apply for a CR-1 visa. The CR-1 visa application requires the filing of a I-130 immigration application. 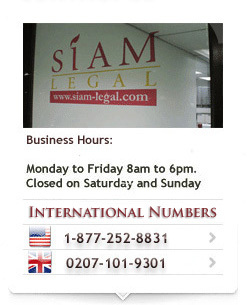 What we do see in Thailand is the addition of step children to the immigration situation. A dependent child under the age of 21 is much easier than someone who has children over the age of 21. Now, what if your Thai step child turns 21 during the course of the application? According to US immigration law, the age would be taken into account as at the date of application and approval by the USCIS. Is however you are applying for a US Visa for your wife and using a K-3 spouse visa, then the children would fall under a K-4 visa application? It is always best to contact a registered US immigration lawyer in Thailand when dealing with the various US visa options available to you.